Welding dissimilar metals and alloys is essential to emerging new technologies in manufacturing industries. This process is difficult because of the formation of intermetallic layers and the variations in the chemical and mechanical properties in the weld region. 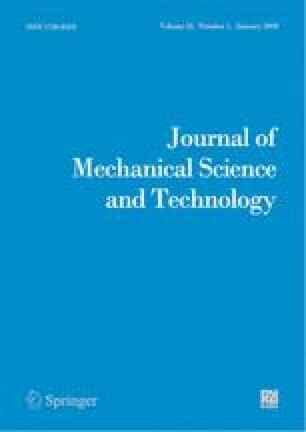 This paper aimed to characterize fully and partially penetrated dissimilar metal weld joints. The welding experiments were conducted on 0.5 mm-thick dissimilar weld joints for the investigation of the effects of the process parameters on the weld joints. Variations in chemical composition, oxide formation, imperfections and mechanical properties were analyzed. Results revealed that the weld joint characteristics notably deviated from the base metal properties in terms of hardness, strength, chemical composition, oxide formation and other constituents of the weld pool region. This study offers insight into the effects of process parameters and the necessary changes in weld composition for the improvement of welds joints. Tadamalle A. P. is an Associate Professor in the Department of Mechanical Engineering at Sinhgad College of Engineering, Pune (India). He received his M.E. from Shri Guru Govind Singhji College of Engineering and Technology, Nanded. His primary research interests include laser welding, modeling, simulation and CAD/CAM /CAE. Reddy Y. P. is a Professor and Principal of the NBN Sinhgad School of Engineering, Pune (India). He received his Ph.D. from Jawaharlal Nehru Technological University, Hyderabad. His primary research interests include welding, metal cutting, and manufacturing systems modeling and simulation. Ramjee E. is an Associate Professor in the Department of Mechanical Engineering at Jawaharlal Nehru Technological University, Hyderabad (India). He received his Ph.D. from Jawaharlal Nehru Technological University, Anantapur. His primary interest areas are in the field of IC engines and combustion. K. Vijaya Kumar Reddy is a Professor in the Department of Mechanical Engineering at Jawaharlal Nehru Technological University, Hyderabad (India). He received his Ph.D. from Jawaharlal Nehru Technological University, Hyderabad. His primary research interest areas are thermal engineering, energy, IC engines and composite materials.